It's National Cheesecake Day and there is no better place to celebrate than at The Cheesecake Factory. Get any slice, half price. 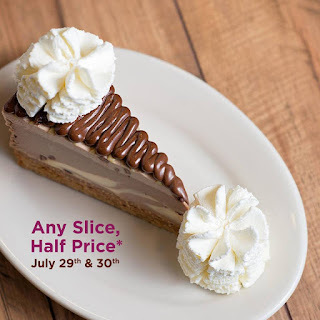 Consider checking out the New Chocolate Hazelnut Crunch Cheesecake!